Gas prices fluctuate pretty rapidly, especially here in Tucson. Even when gas prices are affordable and relatively consistent, it’s nice to know that we are getting the most out of our tank of gas. At Milex Auto Center, we are all about finding ways to get the absolute most out of your car and the components that you invest in it. 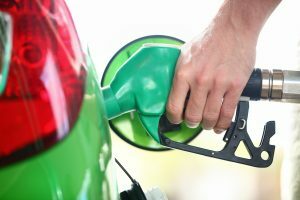 In an attempt to help you get the most mileage out of your gas tank, we’ve compiled a list of ways that you can keep that tank full for longer periods of time. When you leave your car running, even in park, you’re using up gasoline. If you are planning on being parked for a bit of time, and don’t want to worry about wasting gas, roll down your windows and turn off your car. If speeding tickets aren’t enough of a reason to slow down gas consumption might be. Driving over the speed limit may help you get from point A to point B in less time, but you can also count on it using more fuel. Lowering your speed by even 5 miles an hour will reduce the amount of gasoline your car needs by an average of 7 percent. When you tap the breaks of your car you are also using up your gas. You’re likely asking yourself how that makes any sense when you’re stopping the acceleration of your car. Get this, every time that you slow down you are using up more gas and then requiring even more fuel to build up speed again. Rather than break suddenly, let your car coast. We may not be able to lower the prices of gas, but we can help you get the most out of your tank. Aside from these few tips, air filter and general maintenance will also contribute to your gas spending, so make sure that you are scheduling routine maintenance here at Milex Auto Center.